Fact or Fiction is back in 2019! In this feature, we will tackle some of the pressing questions in Miami with HSBN Co-Founder Anthony Uttariello and Editor-in-Chief Rick Duteau. 1. We should be concerned about Pace’s 4-4 start. Anthony: Fiction. I feel like we ask this same question every year. 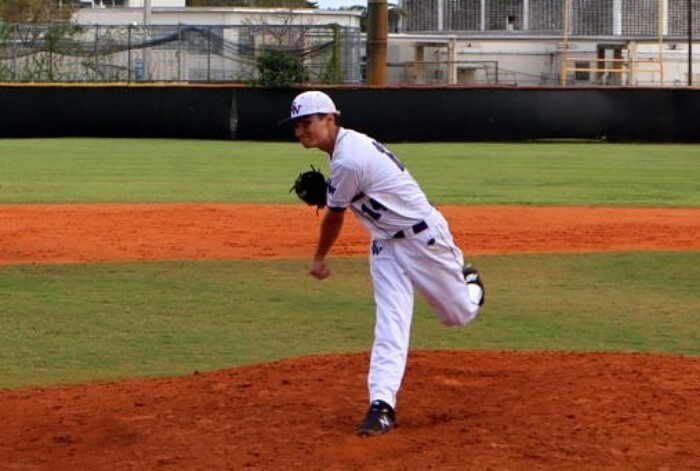 There’s certain things that are automatic when it comes to Miami high school baseball each year. There will be rain. Parents will yell at umpires for making bad calls. And Pace will start slowly before emerging as a state title contender. Nothing has changed this season with any of those three things. We already have experienced several rain days. Parents are yelling at umps at their usual escalated pace. And the Spartans have started 4-4. Wake me up in May when Pace is shutting teams out, scoring 10 a game, and again making their case to be the best team in the state. Of course, anytime a team starts 4-4, there has to be a small level of concern, and I am sure that Coach Duffin would say there is plenty of work to be done. But for those of us who have seen this story unfold year after year, at this time I will just say that the Spartans slow start is fooling nobody. Rick: Fiction. The Spartans started off last season with a 6-4 record, then won their final 14 games to take home the Class 5A state championship. So, if they win their next two games they are right where they were last season. Pace turned things on at the right time last year, getting hot during Spring Break and never cooling off from there. Manager Tom Duffin and his staff has been there many times before, as has many of the players on the roster, and there is no reason for panic over the .500 record. 2. Westminster Christian will hit 25 home runs before they reach 20 wins this season. Anthony: Fact. This is a very interesting question that was drawn up. Westminster traditionally is at the top or near the top of the home run and RBI leaders. yes, some of this has to do with their hitter-friendly ballpark, but it also a reflection of the type of talent that has come through the program over the past decade. I will take this question at its core, and that makes it an easy one for me. The Warriors traditionally play one of the toughest schedules in the state, and this year is no different. Upcoming games against American Heritage, defending state champions Jupiter, St. Thomas, and Pace, as well as games against regional champions Doral, and a battle with undefeated Southwest, tells me that 20 wins is going to be tough even for a team as talented as this year’s Warriors. Now, 25 home runs seems more than doable. In addition to some of the top teams in the area, Westminster has enough games against mid-range teams to make 25 home runs happen. The Warriors are averaging a home run a game, which would put them right on schedule for 25 home runs this season. I say they get there. Rick: Draw. In a weird twist of irony befitting the Warriors’ tradition for unique memories, the team will win it’s 20th game on a walk-off home run that is the club’s 25th home of the season. It would also be an inside-the-park home run, and most likely coming from a pinch hitter who hit his first home run in his entire life. You can’t make stuff like that up, and I can see no other scenario playing out when it comes to Westminster Christian. 3. Doral, LaSalle, Westland Hialeah, and Southwest are all undefeated. Two of the four will come out of Spring Break next week undefeated. Anthony: Fiction. With LaSalle’s game against Monsignor Pace getting rained out Tuesday night, it is logical to think that they can run the table with their schedule versus Champagnat, iMater, and Gulliver Prep through Spring Break. So that leaves three other teams still undefeated. As Rick pointed out below, Doral faces American Heritage today and then heads out to Vegas. As good as they are, I don’t see them running that table. Westland Hialeah faces Miami Central, Brito, Braddock, and Miami Beach in their next four games. Should they win all of those, a likely championship game appearance in the HSBN March Madness tournament awaits. That brings us to Southwest. Should the Eagles get through district rival Palmetto Thursday, they face Mater Lakes, Sunset, and Dr. Krop in the HSBN tourney. Wins there would also likely put Southwest in the title game. That is a lot of assumptions and ifs, especially when spring break games are involved. Two of four being undefeated after next week I don’t see happening. Rick: Fiction. Two of those teams, Westland Hialeah and Southwest Miami, could meet in the HSBN March Madness Shootout. So best-case scenario one would emerge undefeated. 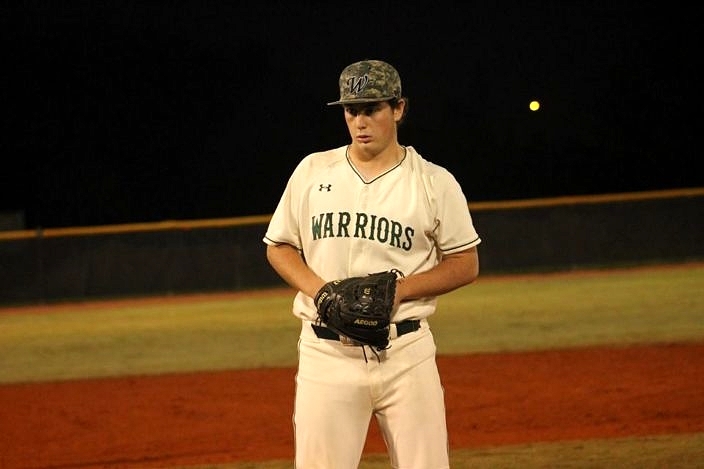 LaSalle had a big showdown with Monsignor Pace rained out that could have put their perfect record on the line, and Doral Academy is set to travel to American Heritage-Plantation today. Should the Firebirds keep it going with a win over the Patriots, they have a Spring Break trip to Las Vegas playing in the esteemed Desert Classic against some of the top teams in Nevada. It will be quite a challenge for any of these four teams to survive these gauntlets and emerge still undefeated. 4. There’s a team under .500 right now that will win a district title. Anthony: Fact. This may be the easiest question we have had in the two years of doing Fact or Fiction. We are not even halfway through the season, and there are a number of teams that are under .500 that could win their district title. Brito is a team that has as storied a history of winning state titles, so why they couldn’t overcome a 3-5 start and win a district title is a mystery to me. I mean, they do have a former alumni that just signed a $300 million contract in Manny Machado. So doubt the Panthers if you wish, but I am not counting them out. As Rick said, Hialeah Gardens have been late bloomers under Manager Carlos Garcia, so they have a shot. Just in that district alone, there is American is also a threat to come from a 4-5 record to win the district. And in 9A-14, crazy stuff always happens, so upsets from Coral Gables, South Miami, or Miami Senior are all within the realm of possibility. Rick: Fact. There are a few different teams in that position right now, but let’s focus on one that has done it before in Hialeah Gardens. Currently the Gladiators are 3-6 and sitting in third place in 9A-13 with a 2-1 record. The Gladiators last won the district in 2017, but they advanced to the title game last year even despite being the fourth seed with a 7-17 record. So one could say that they are right where they might want to be, in place ready to play the spoiler role and make another title run. There is still a lot of baseball to go, and I wouldn’t be surprised to see the Gladiators turn things around a lot sooner than they did last year. 5. All four teams in 7A-16, Belen, Doral, TERRA, and Sunset, will finish .500 or better. Anthony: Fact. If we examine the makeup of this district, it becomes clear that all four teams should, and likely will, finish above .500. Doral is 7-0, and barring a massive collapse, a .500 record for a team that is chasing a state title is a long shot. TERRA may be the most surprising team in the district at 5-2, but I don’t see them slowing down anytime soon. Belen is a team that started 2-2 before winning three of their last four. The Wolverines have hit nine home runs, but only have scored 43 runs. They have an on base of nearly .500, so if they start driving home all the runners they have gotten on base, they will be fine. That brings us to Sunset. Manager Joey Marcos and his squad have the toughest road to .500. They still have undefeated Southwest and Doral on their schedule, and face tough competition in the HSBN March Madness tournament next week. I still think they pile up enough wins to be above .500 at the end of the regular season. And then, we get to sit back and guess which of these teams will advance from the district tournament. Rick: Fact. All four of these teams have quality wins that exhibit where they are at this season. The difference between top to bottom in this district could be very minimal, and that was the case last year as well. TERRA won in an upset as the three seed last year to advance to the regional playoffs, and Miami Sunset went 15-7 and had its first winning season since 2013, even despite being the lowest seed. Looking at the way the teams have been playing and the schedules remaining, it is likely that all four teams will finish the year with winning records. Should any club fall short of that, it would probably come at the hands of another team in the district defeating them.